Some of the Lakes Region’s most stunning custom homes threw open their doors recently as part of the highly-antici- pated Lakes Region Parade of Homes — an annual open house event that puts some of the building and remodeling industry’s best work on display. Held over Columbus Day weekend, visitors were once again treated to a collection of beautiful homes in six Lakes Region communities: Wolfeboro, Moultonborough, Meredith, Ashland, Laconia and Gilford. Participants received a guidebook with a map and home descriptions and an official ticket. As the visitors toured the homes, they were asked to choose their favorite home and cast their ballot at the completion of the tour. Visitors took into account elements such as energy efficiency, exterior siding, kitchens, use of smart technology, lighting and custom millwork. Parade-goers were also asked to pick the home that resonated with them as the best out of the 11 homes. 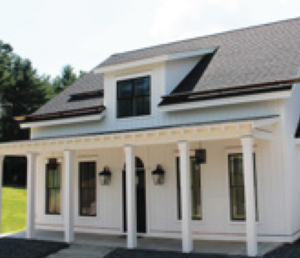 Sippican Partners Construction won the Best in Class award with its “Wingspread Residence” in Ashland. 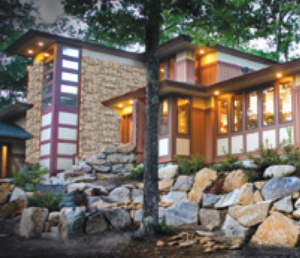 This Frank Lloyd Wright-inspired home sits high atop Squam River Landing, illustrating the perfect design melding humanity with its environment. The home was also awarded Best Kitchen and Best Exterior Finish at the conclusion of this year’s event. 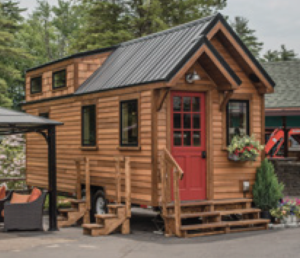 The Lakes Region Tiny House was also open for viewing during the three-day annual event. A collaboration between the Lakes Region Builders and the Huot Tech Center, the project was designed to excite students about careers in the trades. Students from construction and plumbing classes spent the entire school year learning all aspects of building a home from scratch. The Tiny House sits on an 8-foot by 24-foot trailer and offers 272 square feet of living area. This home was completed in the spring. Retreat Custom Builders’ “Lone Pine Cottage,” in Moultonborough, was named the 2018 People’s Choice Award Winner. 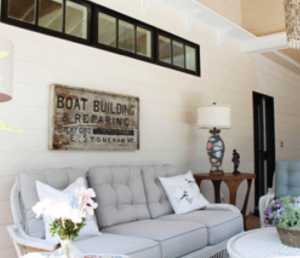 This classic lake house welcomed visitors through a timeless, columned porch into a stunning vaulted living and dining room. Two guest rooms with a Jack and Jill bathroom perfectly complement the in-law and master suites. A panoramic view from a large screened-in porch with an outdoor dining table and a casual seating area helped Long Pine Cottage stand out to the more than 1,000 participants who took part in the Lakes Region Parade of Homes this year. The Best in Class award went to Sippican Partners’ “Wingspread Residence”.